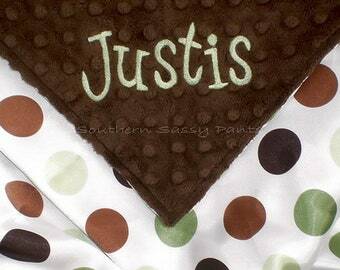 Lovie (security blankie), 18" x 18" perfect for your little one to carry around, or just cuddling at nap time. 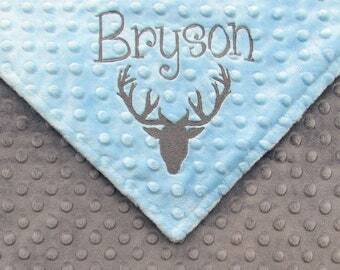 Baby blanket, 28" x 30" is great for covering baby up in car seat, stroller rides or snuggle time. 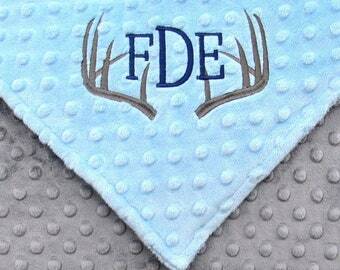 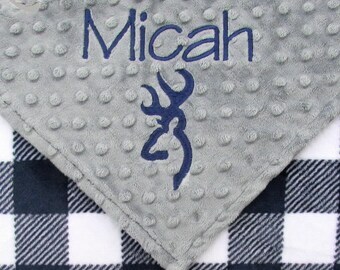 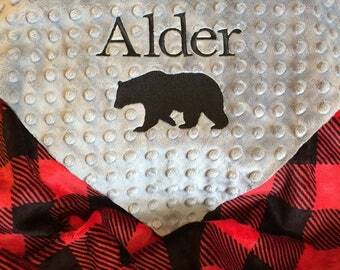 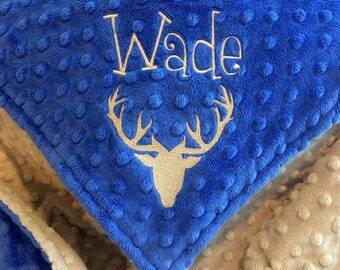 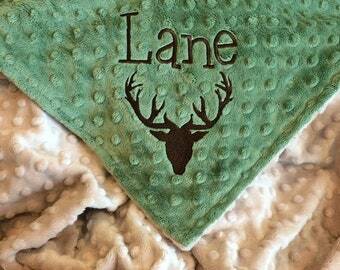 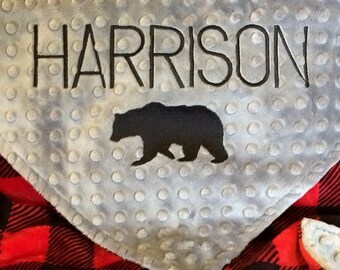 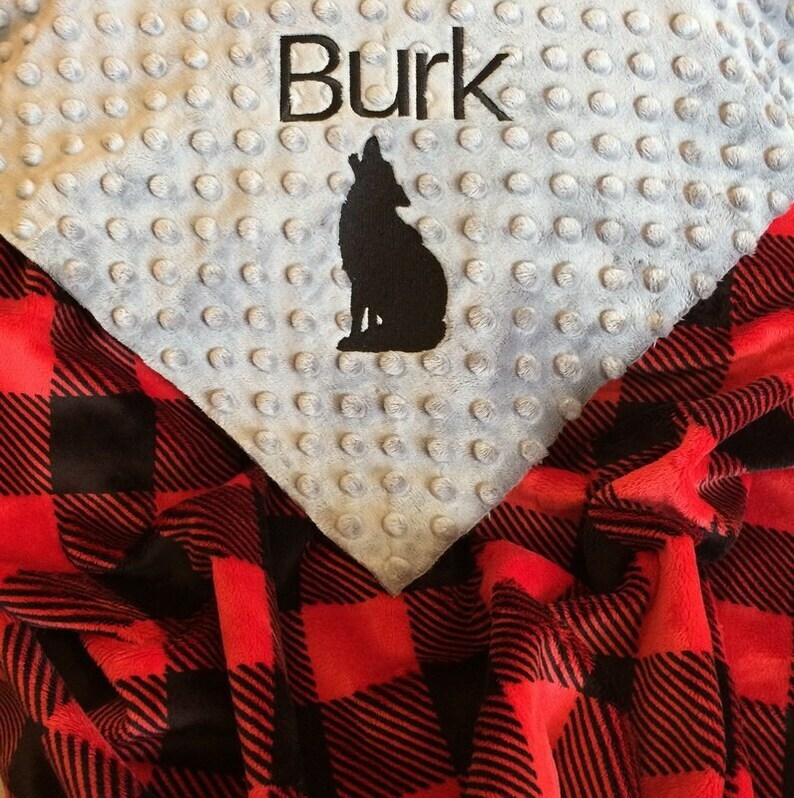 Add a personalized name and/or an embroidered moose; bear; elk; buffalo or wolf for a fantastic keepsake for baby! 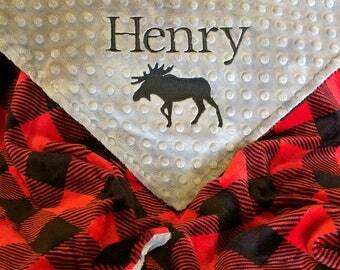 Perfect lumberjack themed baby shower gift for a new mama. 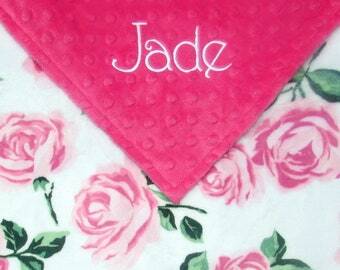 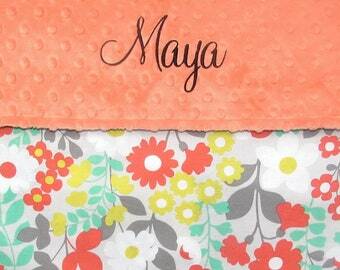 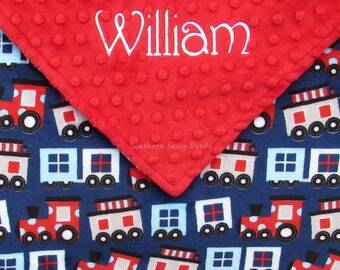 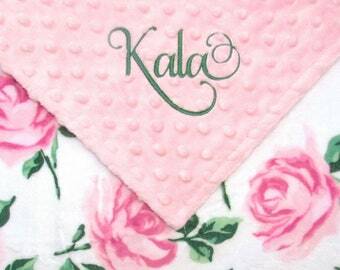 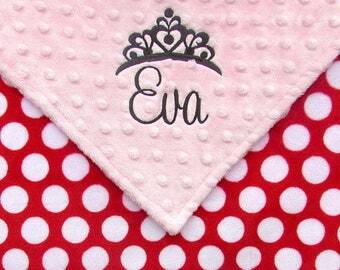 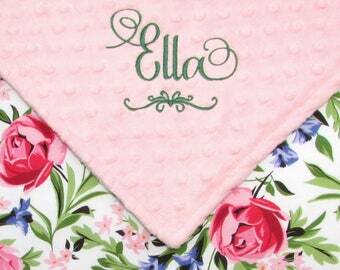 ~ Embroidery placement (diagonally on a corner OR centered at the bottom of the blanket or lovie).